This is a studio flat located within a house with other 2 apartments. It has its own private Kitchen, toilet and shower and benefits from the use of the garden. Included in the amenities within this flat are: Kitchen with full kitchen utensils, Television with WIFI. Kettle, toaster and microwave for use. 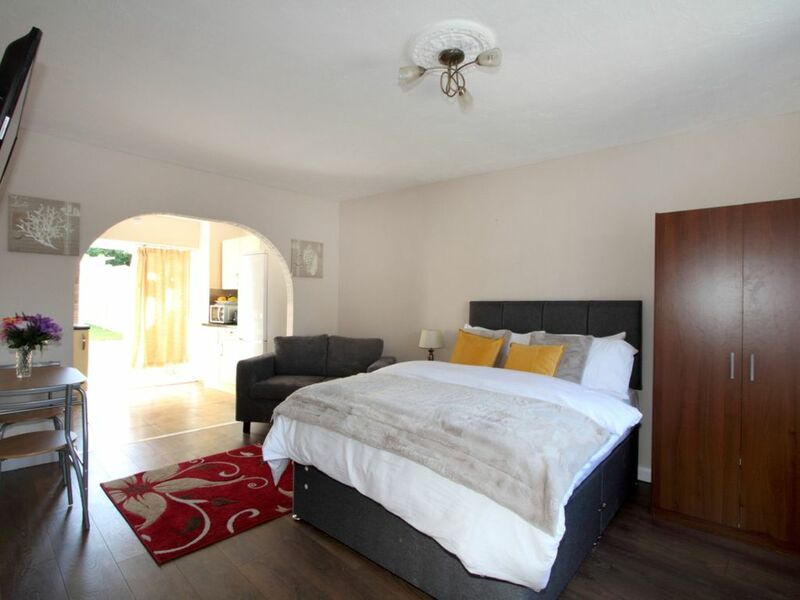 This location is about 15 minutes&rsquo; walk to the train station and the town centre. Most of the site of attractions are within walking distances and for some you may have to travel.